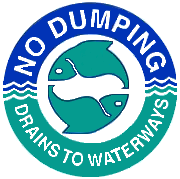 Stormwater pollution prevention is everyone’s responsibility, make sure that you are doing your part to contribute to Rocklin’s Pollution Solution! To volunteer with the Stormwater program or to learn more information on volunteer opportunities within the city click on the link above! Rocklin is a proud partner with the Our Water Our World (OWOW) program which aims to raise awareness of the connection between pesticide use and water quality. OWOW provides information to consumers about integrated pest management (IPM) and less toxic alternatives that are not causing water quality problems. Trees provide cooling shade, reduce air pollution, provide wildlife habitat, and beautify our community but it is important to plant a tree that is appropriate for its location. 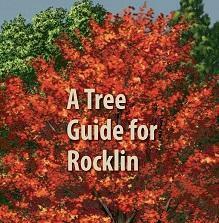 The following Tree Guide was developed by PG&E for the City of Rocklin and provides a list of recommended trees for Rocklin. Data is collected at creeks throughout the City to monitor overall water quality and to follow trends over time. The parameters that are tested include pH, Temperature, Conductivity (or Oxidation-Reduction Potential), Turbidity, and Dissolved Oxygen.